Born in Mexico, 15-year-old Raul recently immigrated to the United States speaking only a few phrases of English and reading Spanish at a 7th grade level. Magdalena, a grandmother of eight, worked in the fields in her youth and never attended school. Jorge, who has a history of truancy, drug abuse, and dismal grades, was just expelled from his high school for drug possession. Nineteen-year-old Rosa dropped out of high school three years ago when she became pregnant and couldn’t balance going to school while holding a part-time job and caring for her son. For over 35 years, the Association for the Advancement of Mexican Americans (AAMA) has provided these and other at-risk Latinos—individuals who have high odds of running into the criminal justice system, creating health problems for themselves, or failing to secure steady employment—with a second chance. AAMA’s high schools turn would-be dropouts like Rosa and Raul into high-school graduates. Its adult education programs enable Latinos like Magdalena to earn a GED. Its drug treatment programs help individuals like Jorge beat their addictions. AAMA was formed in 1970 when a group of Latino community leaders in Houston’s East End came together to address the problems of drug abuse, teen pregnancy, and juvenile crime. Recognizing that these and other challenges were linked to an alarmingly high drop-out rate among Latino youth, in 1973 AAMA’s leaders opened the George I. Sanchez Houston Charter High School (GIS Houston)—the first privately accredited school for Latino dropouts in Texas. In 1997 Hispanic Magazine named it one of five “Schools of Excellence” in the nation, and the Texas Department of Health honored the school with an “Excellence in Texas School Health Award” in 2000. Despite such accolades, AAMA’s leaders were unsatisfied. They recognized that high schools alone wouldn’t be enough to advance the lives of at-risk Latinos. At the same time, the state of Texas and other government agencies—impressed by AAMA’s demonstrated ability to serve the most at-risk youth—continually asked the organization to expand its programming. And so in 1987 AAMA’s leadership established a Health and Human Services division, which today provides a wealth of services including HIV prevention, drug prevention, inpatient and outpatient drug treatment centers, and homeless shelters. In that same year they founded Adelante, an adult education program. AAMA continued to operate GIS Houston and in 2001 opened another GIS high school—this one in San Antonio. By 2005 AAMA was providing services to over 30,000 individuals annually through nearly 30 different programs, and was recognized by Hispanic Magazine as one of the nation’s ten largest Hispanic-operated and Hispanic-serving nonprofit organizations. Its extensive program portfolio served clients of all ages and of many ethnic and racial groups in the Texas cities of Houston, San Antonio, Laredo, Del Rio, and Edinburgh. AAMA’s leadership knew the organization was doing important work and believed that this work would become even more critical in the years to come as the Latino population soared in Texas. They were passionate about serving the needs of the most at-risk Latinos and were eager to expand the organization’s efforts. Moreover, multiple funding partners had expressed interest in investing in AAMA’s growth. All signs pointed to growth. But would that mean expanding all of AAMA’s programs or concentrating on a few? For that matter, was it even possible to grow selected programs, or was the full suite required to create the desired results? Charting a course would require AAMA’s leadership to get more specific about the impact they wanted to achieve and how AAMA’s various programs matched with that impact goal. 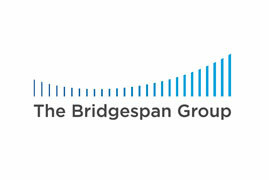 With funding from the Bill & Melinda Gates Foundation, they engaged the Bridgespan Group to help them develop a plan for growth. A team of 123 was assembled to develop AAMA’s growth plan: President & CEO Gilbert Moreno; four AAMA board members; the program directors of the GIS high schools, the Adelante adult education program, and the Health and Human Services division; a program officer from the Bill & Melinda Gates Foundation; and four Bridgespan consultants. What is the impact AAMA intends to achieve? How do AAMA’s programs align with this intended impact? How should AAMA manage and grow its portfolio of programs to best achieve impact? AAMA’s leadership sensed that they could accomplish more by getting crystal clear about the people they intended to serve and the benefits they wanted to help create for these individuals. The team first turned its attention to specifying AAMA’s target beneficiaries. Common to all of AAMA’s programs was a focus on the most at-risk Latinos, but this unifying characteristic was not specific enough to guide decisions about growth. Within the at-risk Latino population, should the organization aim to serve more Mexican Americans, immigrants of Mexican descent, or immigrants from other Hispanic countries? More young people or more adults? More individuals in the Texas cities it already served or in new geographies? AAMA clearly couldn’t expand in all directions. The team wrestled with these options over three lively sessions, two with the working team and one with the broader board. The possibility of a Mexican-American focus quickly emerged—and just as quickly surfaced considerable discomfort. One passionate board member of Puerto Rican descent offered a compelling argument for welcoming non-Mexican individuals into AAMA’s programs. Her position resonated strongly with members of the broader leadership team, who historically had prided themselves on never turning away anyone in need. This sentiment was reflected in the organization’s all-inclusive motto: “We help people!” In fact, over the years AAMA had welcomed all Hispanic people—and white and black people, too. Committed to an open door policy, the team took the concept of turning people away off the table. Instead, they identified an alternative approach to achieving strategic clarity: designing programs around AAMA’s target beneficiaries. AAMA would continue to welcome all comers into its programs, but would design those programs to address the specific needs of its target population. Now comfortable with exploring the notion of focus, the leadership team began to prioritize among the many different beneficiaries AAMA could serve. They took into account data about which Latinos were most in need of AAMA’s services as well as their personal feelings about which individuals they were most passionate about serving. Given the organization’s deep Latino roots, the latter proved particularly illuminating. Nearly all of the organization’s key staff and board members were Latinos. President & CEO Gilbert Moreno, for example, was the scion of a family that had lived in Laredo on the border since its founding in 1755 before it became part of the United States, and GIS Houston Principal Bobby Lopez was the proud son of a migrant worker. To help them sort through the emotions these ties brought and draw out priorities, the working team considered concrete questions about where they would like to spend future AAMA resources. The discussion that ensued in response to the question, “If AAMA could open only one program, either in a neighborhood of 80 percent Mexican Americans or 80 percent Central Americans, which would the leadership team prefer?,” made it clear that Mexican Americans were first and foremost the target group. But were Mexican Americans also a group with extensive needs? Absolutely. Analyzing data from the 2000 census revealed that Mexican Americans constituted the overwhelming majority of Latinos in each of the cities where AAMA provided services. For example, they accounted for approximately 75 percent of the 700,000 Latinos living in Houston. With this alignment of values and hard data, the leadership team committed to making Mexican Americans the organization’s top priority. Next would be individuals of Mexican descent, and third other Latinos. The team engaged in similar discussions to prioritize the geographies and age groups the organization would serve. Exhibit A summarizes the prioritization that emerged. Guidance on how to grow also would come from agreeing on the specific outcomes AAMA would strive to achieve with its target population. The leadership team already had a vision of what success for AAMA would look like, a vision of the community without major problems. Communities where AAMA’s clients lived would be characterized by low crime and gang activity, no substance abuse, more Latinos graduating from high school and from college, more Latinos equipped with the skills to obtain decent jobs, and increased numbers of Hispanic leaders. Ancillary outcomes were also outcomes for which AAMA’s leadership would not hold themselves accountable but that they hoped might occur. Take crime reduction, for example. AAMA’s leadership believed the organization’s programs helped reduce crime in the community, and they initially included crime reduction on their list of direct benefits. After further consideration, however, they realized that achieving and holding themselves accountable for this goal would require two big changes: forging partnerships with law enforcement agencies and measuring crime rates as a means of assessing AAMA’s performance. Neither of these changes appealed, so the team re-categorized crime reduction as an ancillary benefit—one that clearly was desirable but not one that the organization would strive to achieve directly. In contrast, the team committed to holding AAMA accountable for three direct benefits: increasing the number of college-ready high school graduates; increasing the number of adults attaining basic skills; and reducing substance abuse behaviors. Based on their extensive experience working in the community, AAMA’s leadership believed that the barriers that achieving these benefits would address the barriers (i.e., insufficient education, lack of basic job skills, and substance abuse) were preventing at-risk Latinos from achieving positive life outcomes. Moreover, they believed that AAMA was positioned uniquely to help individuals overcome them. Desirable ultimate and ancillary outcomes logically cascaded from these three direct benefits. For example, if AAMA succeeded in increasing the number of Latino youth graduating high school college-ready (a direct benefit), then these Latinos would be more likely to graduate college or enter the workforce well-prepared than their drop-out peers (ultimate outcomes). Some of them might even become leaders in the community (an ancillary outcome). Exhibit B captures the final set of direct benefits, ultimate outcomes, and ancillary outcomes. AAMA’s leadership team had distilled their beliefs and brought data to bear to define a concrete vision of whom they wanted to serve and to what end. How could the project team translate this vision into practical, tangible programmatic decisions? A necessary first step was to explore how well AAMA’s current program portfolio aligned with its newly clarified intended impact. Before analyzing the various programs, the team first needed to address the issue of program interconnections. Some had described AAMA’s programs as a continuum of care—they built upon one another. If this belief were true, growing one program but not another could reduce the full impact of AAMA’s services. Were they free to assess each program individually, or did they have to consider them as a composite? The team brought data to bear to test this hypothesis. They made the assumption that the GIS high schools would be central to any future program portfolio. For each of the other programs, they asked the question, “How does this program relate to and support the high schools?” Two conditions would have to be true for programs to be inextricably connected with the high schools: the program would have to serve either the high schools’ students or their parents, and it would have to be based in either Houston or San Antonio (the locations of the GIS schools). The ensuing analysis challenged the continuum of care concept. Program beneficiary data indicated that the majority of AAMA’s social programs served clients with little or no connection to AAMA’s high schools. Of the approximately 23,000 clients served in AAMA’s Health and Human Services Programs, for example, only 16 percent were of high-school age. Moreover, many some of these programs were based outside of Houston and San Antonio. GIS students and their parents did not constitute a majority of service recipients in fully 15 of the 22 programs analyzed. The seven programs that were indeed closely linked included on-site daycare services, pre-kindergarten services for children of GIS students, and an onsite health clinic. The team now felt confident assessing each program individually based on its alignment with the organization’s intended impact. To do so, they developed a rating system whereby they would award each program points based on its fit with AAMA’s target beneficiaries and benefits. The higher the tally, the closer the fit. Exhibit C provides an overview of the rating system. Taking the target beneficiary age as an example, a program would receive 2 points for serving youth, 1 for both youth and adults, and 0.5 for adults only. So while the GIS Houston high school scored a 2 on the age dimension, the Solaris Haven homeless shelter for adult women only received a 0.5. The team rated each of AAMA’s programs, resulting in a broad spectrum of final tallies. Solaris Haven was the lowest scoring program, and GIS Houston was the highest. Fit with AAMA’s intended impact told only part of the story, however. From a practical perspective, financial considerations also would have to inform the team’s programmatic decisions. A program that was only moderately aligned with AAMA’s intended impact, for example, might look more attractive if it were covering its costs plus throwing off money to plough into more tightly-aligned programs. Under the leadership of Mr. Moreno, a former CPA, AAMA had begun to track detailed and accurate financial information at the program level. Formerly on the organization’s board of directors, he had stepped into his current role when the organization had almost run out of money. A sharp zeal for cost control soon pervaded the organization, epitomized by frugal staff turning off the lights and air conditioning when leaving work each evening. As a result, AAMA had gotten on more solid financial footing. That information was now a gold mine. The team used it to calculate the financial margin of each program, taking the program’s direct revenue (the revenue raised expressly for the program, not including unrestricted revenue that might be assigned to it) and subtracting out its direct costs (i.e., costs, such as program staff salaries, that were associated with providing services) and indirect costs (i.e., costs, such as rent, that were incurred outside the direct provision of services). The financial analysis revealed that Solaris Haven—the program that had the most distant fit with AAMA’s intended impact—was a financial drain with a negative 25 percent margin. GIS Houston, on the other hand, had a positive 8 percent margin. To help the team simultaneously consider the programs’ financial and impact scores, they created a two-by-two matrix on which to map the programs. The vertical axis depicted financial margin and the horizontal axis alignment with the intended impact (see Exhibit D). Clear Winners were strong financial performers that were highly-aligned with AAMA’s intended impact. These programs were candidates for investment and growth. Investments had negative margins but were highly aligned with AAMA’s intended impact. AAMA’s leadership team could make a conscious decision to invest in them and also consider ways to improve their financial margins and/or secure additional funds for them. Income Opportunities generated positive margins but did not fit well with AAMA’s intended impact. These programs would be candidates for maintaining only if they did not distract management’s attention from the more tightly aligned programs and continued to throw off surplus funds. Potential Distractions scored poorly on both the financial performance and impact dimensions. Unless AAMA could improve their financial performance or strategic fit, they could be candidates for exit. Exhibit E contains the fully populated matrix. Each circle represents an AAMA program, with the circle size indicating the relative size of the various programs. Revisiting the Solaris Haven and GIS Houston examples, Solaris Haven fell in the Potential Distraction portion of the matrix, while GIS Houston was squarely in the Clear Winner quadrant. AAMA’s leadership quickly began to digest the data. The team’s disciplined approach had created, as one team member described, a “solar system” picture of AAMA’s programs. In an initial meeting, each “planet” was questioned: its size, its alignment with the organization’s intended impact, its potential movement. A rush of ideas came forward, but so too came doubts and misgivings. Was all of the information correct? And why were some of the Health and Human Services programs in the bottom left corner? At the end of the first meeting, all agreed to think about what the “solar system” meant for AAMA. Questions about the data subsequently were resolved, and hard implications arose. While all programs were valuable, some were clearly more equal than others. Some conflict lingered, but, never afraid of a tough fight, AAMA’s leadership faced the issues head on—and quickly too. The most pressing programs to address resided in the Clear Winner and Potential Distraction quadrants. Clear Winners were the most likely candidates for growth. Conversely, Potential Distractions would require tough decisions about whether AAMA could improve their fit or alternatively might have to exit them. Potential Distractions: Improve fit or exit? AAMA’s Potential Distractions were draining the organization of precious money and management resources that could be better utilized elsewhere. AAMA’s leadership needed to take action. Were there realistic opportunities to increase the degree to which these programs aligned with AAMA’s intended impact or contributed financially? If not, were there any other considerations, such as legal constraints or political reasons why they might be important to maintain? AAMA’s Chief Financial Officer Chetana Chaphekar took the lead in analyzing each program’s financial potential. She discovered that one of the Potential Distraction programs, Ganadores Prevention, had a one-time start-up expense that had resulted in a negative financial margin at the time of the original financial analysis. Excluding this expense, Ganadores would have a positive margin, moving it up into the Income Opportunity quadrant. Some other programs were only marginally unsustainable, and there was hope that with careful cost saving they could become sustainable. Solaris Haven, however, was not expected to improve, and no other considerations suggested the organization should maintain the program. AMA’s leadership was presented with gut-wrenching decisions. All of the programs served needy people and had been created over the years by much hard work from the AAMA team. But they ultimately decided that AAMA could do the most good by focusing where it could have the greatest impact. They would continue to operate the Ganadores Prevention program, exit three other Potential Distractions (including Solaris), and attempt to improve the remaining programs in the quadrant. Closing the Buena Salud location in Laredo, for example, and consolidating it into one south Texas location in Mcallen dramatically improved the finances while continuing to provide the right service level. With these decisions made, the team turned to the Clear Winners. Clear Winners: Maintain, enhance, and/or grow? The program portfolio analysis confirmed that the two high schools, GIS Houston and GIS San Antonio, were driving AAMA’s intended impact. Their Clear Winner status did not necessarily mean, however, that they were ready for replication. While the schools clearly were doing good work, AAMA’s leadership had seen some signs that there were issues to address. Both GIS schools showed room for improvementsite on test scores, and the performance of GIS San Antonio consistently lagged that of GIS Houston. Should they address these issues before growth, or enhance and grow them simultaneously? To decide, the team needed a better understanding of how well the schools were performing—starting with GIS Houston. GIS Houston’s below-average test scores were not necessarily a sign of poor performance given that it served a higher-than-average proportion of at-risk students. Nearly 90 percent of GIS Houston students met the state definition of “at-risk,” compared to a 43 percent rate in the state overall. To get a truer read on GIS Houston performance, the team analyzed how a single group of GIS Houston students progressed over multiple years. Over the time period considered, 90 percent made more progress than a grade level per year. GIS Houston was having a significant impact on closing the achievement gap for students that stayed at the school for multiple years. The team’s analysis also revealed a startling fact: the average GIS Houston student only stayed at the high school for one-and-a-half years. AAMA’s leadership had known that its students were highly mobile, but seeing the stark data was a shock. Students at GIS Houston began far behind their peers and therefore required considerable time to close the gap. The retention data raised some fundamental questions. If a student came for just six months, wasn’t this better than him or her dropping out entirely? Was graduation the sole goal? Should AAMA turn away students who did not intend to stay? AAMA’s leadership concluded that if they really wanted to achieve the organization’s college-ready high-school graduation goal, GIS Houston would have to be a school that gave students the chance to catch up. Student retention would need to improve significantly. The story was somewhat different at GIS San Antonio, which consistently lagged GIS Houston from a performance perspective. It was not clear why GIS San Antonio was not working. Were key elements of GIS Houston’s model missing? Was the student body very different? While the student body in San Antonio was more problematic than in Houston, site visits and detailed analysis confirmed that many of the key elements of the Houston school just were not present. GIS San Antonio had fewer teachers per student than did GIS Houston, and it did not offer critical support programs such as on-site daycare. At the root of these inconsistencies was the fact that AAMA had not yet codified the GIS Houston model to the level of detail required for replication. These issues, more than any difference in the student population, explained the performance differences. The case against immediate growth was building. Improving student retention and codifying the school model would take considerable time. It would also require more staff capacity and different skills than AAMA currently had on board. AAMA would need to hire a chief academic officer to codify and refine the organization’s school model and monitor programmatic outcomes; a development director to raise capital; and a new principal for GIS Houston to free its current principal, Bobby Lopez, to act as full-time Superintendent of Schools. All together, the collective initiative represented a huge investment for AAMA. It would mean bringing in new senior people to a team that had been proud to be lean. It would mean increasing the organization’s overhead costs—a step that is never easy to stomach. And it would require extensive time and energy from the existing leadership to integrate the new hires into the team. At the same time, AAMA’s leadership remained eager to grow and serve the extensive need in the community. Plus, foundations seemed poised to make an investment in program growth, but less interested in funding capacity-building efforts. And there was always the risk of waiting too long and missing a window of opportunity for funding and prime facility space. Armed with a newly clarified strategy, AAMA was eager to act. Students in Texas were dropping out every day. But the case to delay growth was just too strong. Immediate growth might risk program quality and could harm the organization’s reputation in the long run. AAMA would postpone growth and instead build a solid foundation for growth before opening its next high school. But how would AAMA’s leadership know when the organization was ready to grow? The team established a signaling system, with metrics in each of the three investment areas—student tenure, school model alignment in San Antonio, and leadership team—and growth thresholds that AAMA would need to meet prior to growth. Exhibit F includes the thresholds in each of the three areas. Between October 2005 and the writing of this study, AAMA has made significant progress on several fronts. The organization has secured over $600,000 in funding to help build the foundation for growth. All Health and Human Services programs have been brought to break even or to a positive financial margin. For example, AAMA’s leadership has come up with a creative solution for improving the financial position of its health clinic, forging a partnership with Texas Children’s Hospital to operate a state-of-the-art clinic on the GIS Houston campus. Health and Human Services has since had a record financial year. Moreover, the leadership team now assesses all new program opportunities based on their alignment with AAMA’s intended impact and their projected financial margin. AAMA also is making progress against the specific growth thresholds. The organization hired a development director and chief academic officer in March of 2006, and is planning to secure a dedicated principal for GIS Houston this fall. GIS Houston has realized improvements in eight of 10 test score areas, and its student transfer rate has decreased by 19 percent. It significantly exceeded the state average in bringing students that had failed TAKS math tests back to good performance. GIS San Antonio also has realized improvements in a majority of test score areas, and it has achieved its target 80 percent attendance rate. This strong progress has prompted AAMA’s leadership to target fall 20087 as the opening date for the next GIS high school.